Incorporated in 1988, Precision Plating operates in a purpose-built 9000 sq.ft. plating facility at 35 Oakland Ave. in London, Ontario. We provide excellent plating services and fast turn-around at reasonable prices. 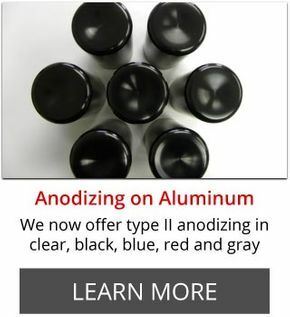 We offer a wide variety of plated finishes, anodizing, conversion coatings and passivation to clients in Ontario and the rest of Canada. High quality, Fast Turnaround at Reasonable Pricing is what we do! We are a Job Shop and welcome small lots, larger projects and continuous production runs. 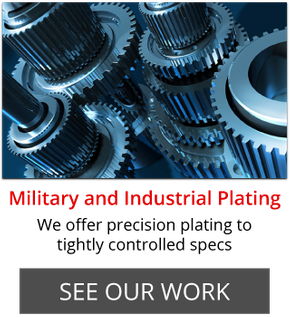 Special services such as masking, selective plating, delicate parts handling and certification to industrial and military specifications are all part of our services. 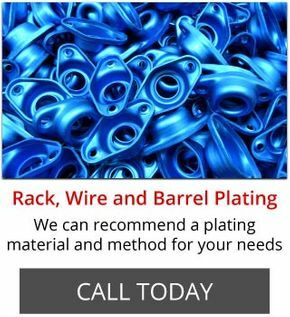 Whether you are looking for solderability, conductivity or corrosion resistance, our plating experts can recommend a plating material that will suit your needs. We offer a variety of finishes and treatments on many different substrates to protect your materials from wear, rust and other sources of degradation. Give us a call today to receive a quote!